I received a small envelope in the mail from my dear friend, Sheila. One of my Survivor night buddies who I’ve enjoyed hanging out and laughing with for years. She’s the type of friend who finds little ways to make your day. Nice surprises. This was a good one. My nickname is “Minnow.” I was dubbed this by a couple of friends because I was such a new swimmer. 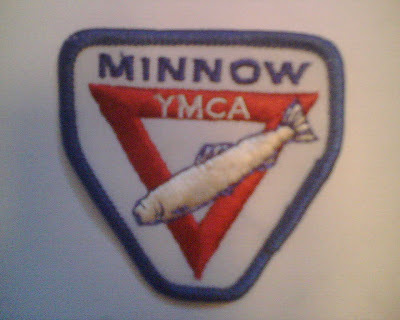 I never earned my Minnow patch as a kid. I didn’t learn to swim at the Y. I barely learned to swim at all. So getting this patch in the mail was especially sweet and made me giggle.